﻿ 15 Creative Ideas to Grow Your Email List » Red Mango Marketing! Growing an engaged email list is one of the most important parts of creating a successful email marketing strategy. And for a lot of businesses and organizations, it’s also one of the most challenging. You know you have something valuable to offer current and potential customers, but how do you get people to actually sign up? Luckily, there are a number of tools you can use to grow your email list. In this post, we’ll take a look at real examples from small businesses and organizations that have achieved success with email marketing and cracked the “list growth” code in the process. Add a sentence or two at the top of your sign-up form to make it clear. Tip: Download an editable sign-up form from Constant Contact here. If you share your emails on social media, for example, many of your fans and followers won’t be on your email list. People may also be forwarding your emails to their friends. This is something Brandon Stewart, a real estate agent in Dallas, Texas learned when he began using Constant Contact in 2009. To make it easy for people to sign up, add a Join My Mailing List link to any email you send out. 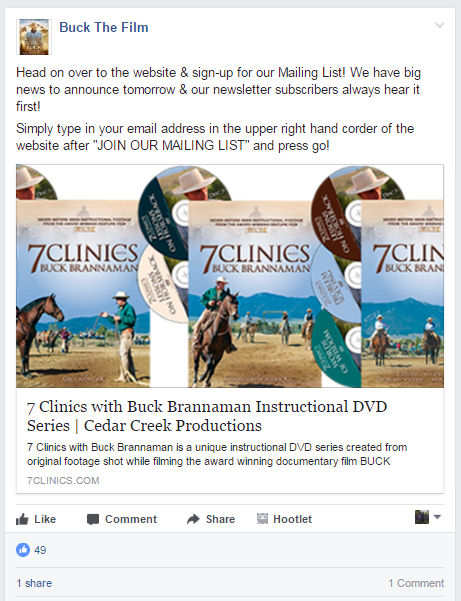 Take a look at how Full Spectrum Power makes it easy for Facebook fans to join their email list by including a link right in their caption. 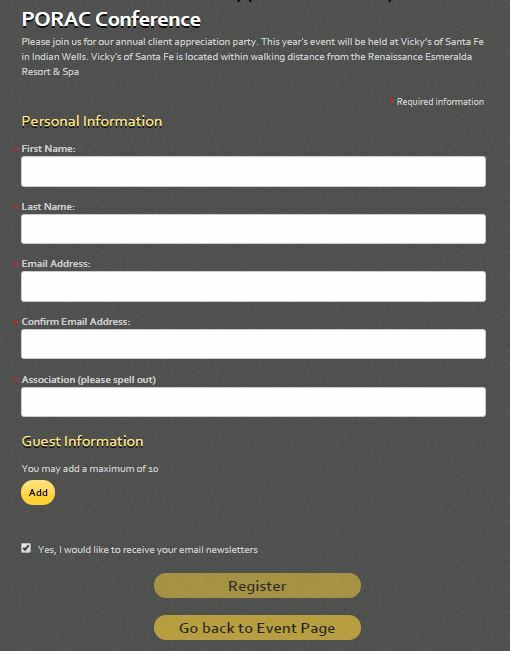 For a business like Allegria Spa, adding a sign-up form to their website offered a whole new way to connect with new customers. If you have a WordPress site, use our Constant Contact Forms plugin to add a branded sign-up form to your site in minutes. We also have web sign-up forms that can be embedded directly on your website. If you host events where people register or purchase tickets in advance, you’ll likely already be collecting important contact information. This is the perfect time to ask people to join your email list. As Carrie Bonnet, marketing director at Rains Lucia Stern, PC explains, collecting email addresses from event registrants gives you the chance to communicate with attendees after your event. For her, this includes sending a follow-up survey to event attendees. Industry events, tradeshows, and conferences are the perfect place to grow your email list. For a business like Mother Earth Pillows, these events give them the chance to connect with new customers and other partnering businesses. “We have sign-up lists at conferences, we have one at our store, and we have a sign-up list on our website. Then we have the people who call in or are our wholesale partners,” explains founder, Karen Kowal. If you have a tablet, make it easy for event attendees to sign up for your list using the ListBuilder app. ListBuilder connects with your Constant Contact account and automatically uploads new contacts to the list of your choosing. When Arlet Koseian started extendYoga she only had a few contacts on her email list. Once you get friends and family excited, ask if they will spread the word about your email list for you. Start new customer relationships off on the right foot by offering them a whitepaper or another educational resource in exchange for their email address. For a business like Tallega Software, which helps clients keep their information secure, providing a piece of free education is the perfect way to attract new clients to their business. Once they sign up, new leads receive a series of automated emails with helpful information about Tallega Software’s solutions. Any time you’re meeting with customers face-to-face, you have the opportunity to grow your email list. For an organization like Gallery Above Penn Square, which hosts a full schedule of weekly events, asking people to sign up is an easy way to continue the relationship after the event is over. 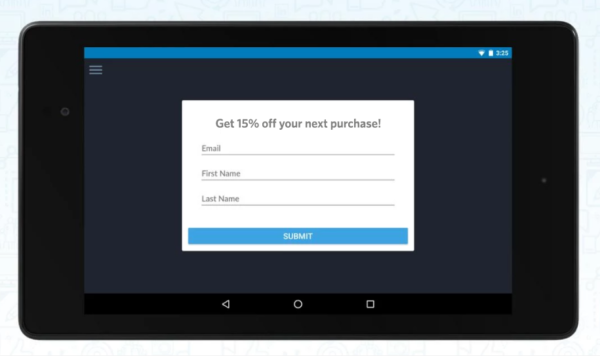 Make it convenient for customers to join your email list by giving them the option to sign up using a mobile device. Constant Contact’s Text-to-Join tool lets people join your list by sending a text message to a custom code that’s unique to your business. You can create a custom sign to hang up around your store right within your account. 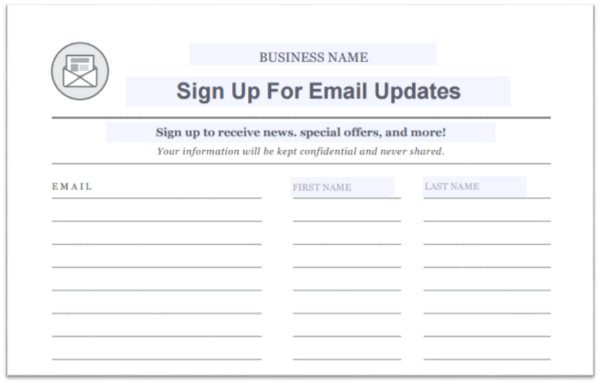 If you want to give people the option to sign up by hand but don’t have a convenient place for a paper sign-up sheet, consider using other print methods to get customers to join your list. “We have postcards in the restaurant that you can sign up with that say ‘Join our email club!’ and talk about how we offer a lot of vouchers, coupons, free drinks, free parties, and contests through our email,” explains owner Tim Burke. This helped River Rock Climbing Gym grow their email list to more than 9,000 people in less than two years. Social media offers a powerful platform to build an audience for your business. But it’s also important to move relationships off social media and encourage fans and followers to join your mailing list. This will give you a better way to reach your audience on your own terms — without having to worry about network changes or declines in reach. Treat Cupcake Bar uses the Join My Mailing List Facebook app to encourage their fans to stay in touch. Do you have guest wifi available to patrons at your store? An app like Gazella Wifi hlet you grow your email list without having to lift a finger. Once the app is set up, guests will enter their email address to access your free wifi. Once those guests connect, Gazella’s integration adds contacts directly into your Constant Contact account. Try out the Gazella app here. Using Facebook Ads, Liberty Jane Clothing added more than 2,000 contacts to their email list in a single month. Learn More: Here’s why you should advertise on Facebook and how Constant Contact can help. The best way to get people interested in your email marketing is to offer something that they can’t find anywhere else. 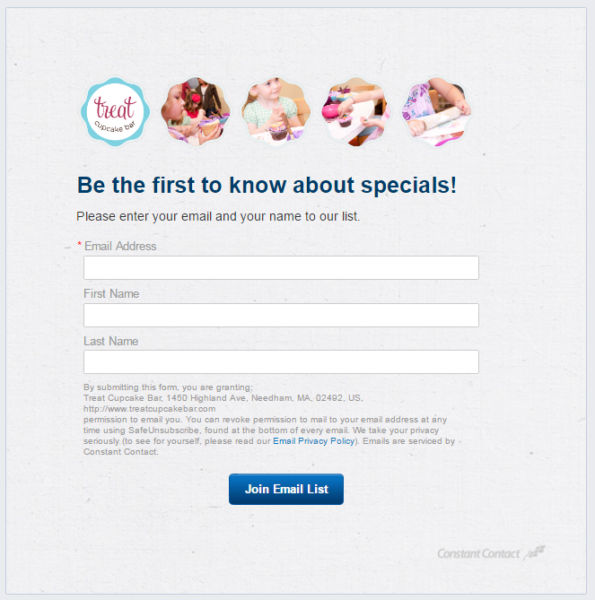 Connecticut-based Cedar Creek Productions created a “You’ll Hear it Here First” campaign to kickstart email list growth. Using social media, they promoted their email list as the go-to resource to find out about upcoming news and announcements. The studio promised fans that anyone who signed up for the email list would hear the latest news about interviews, screenings, and more before it was posted to social media. This netted the studio more than 2,000 new email subscribers. Think about all the different places customers interact with your business. Could any of these strategies work for you? Pick at least one of these strategies and see how it works. You’ll be amazed at what a big impact it could have for your email marketing and business success! Learn more list growth tips in our FREE webinar: How to Ask for Email Addresses, Anywhere. Can’t attend live? Register anyway and we’ll send you a recording. New to email marketing? You can try an account free for 60 days! Sign up for your email marketing trial today. 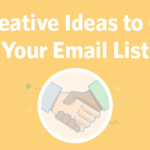 The post 15 Creative Ideas to Grow Your Email List appeared first on Constant Contact Blogs. This entry was posted on Monday, May 8th, 2017 at 8:00 am	and is filed under contacts, Customer Success Stories, Email Marketing, Featured, list building, List Growth, News & Updates. You can follow any responses to this entry through the RSS 2.0 feed. Both comments and pings are currently closed.